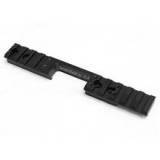 The NEW extended dovetail to Picatinny adapter for the Anschutz 54 22lr action built by shoo.. Finally! A dovetail to Picatinny scope mount for the Anschutz 64" 22lr action built with the.. Finally! A dovetail to Picatinny scope mount for the Anschutz 64" 17HMR/22WMR action built w.. Finally! 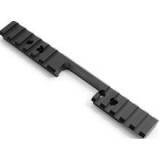 A dovetail to Picatinny adapter for the Anschutz *54 22lr action built by shooters for s..